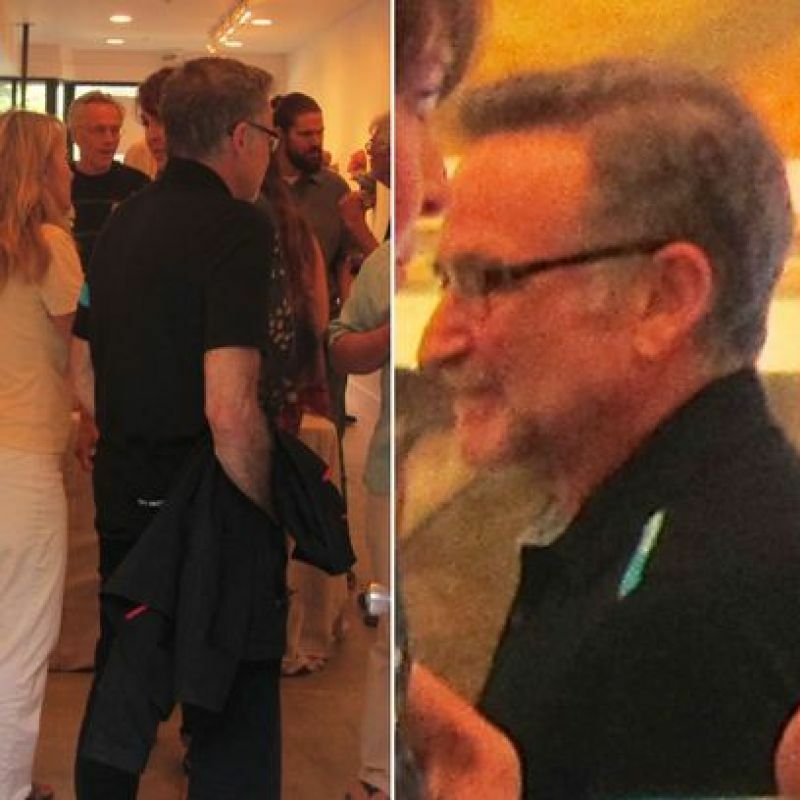 The last social event that the late Robin Williams attended was a function at an art gallery local to his Bay Area home in LA. It was the last time that the comedian would be seen in public; his depression and anxiety exacerbated by the onset of Parkinson’s Disease,Â he committed suicide the day after these pictures were taken. In the pictures, Williams appears to be struggling to keep a smile painted on for his fellow guests as he mingles alongside his wife, Susan Schneider. The right-hand picture speaks volumes about Williams’ mental condition. He stands isolated in a room full of people, his coat in his hand to act as a subconscious barrier against the offer of handshakes. That his final tragedy would play out in full the very next day only makes this picture all the more haunting.